#SCFirst – “worthy” was one of the first songs that i wrote when i got to LA to start writing the album and it’s stuck with me as one of my favourites up till now. the whole process took a long time but i finally found a way to incorporate my guitar playing into my electronic productions, without it feeling forced or unnatural to me. Most people associate guitars with heavy rock and shredding guitar solos but there’s none of that on the album. I’m much more into sparkly pretty guitar melodies. I hope this new combination of sounds touches you like it touched me 😊! 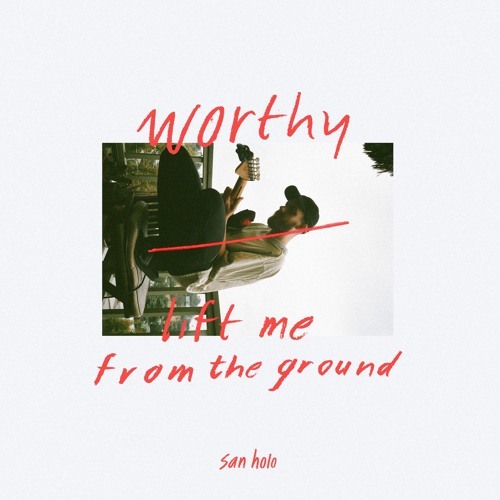 Posted on August 19, 2018 by Bud	This entry was posted in Listen and tagged San Holo, worthy. Bookmark the permalink.